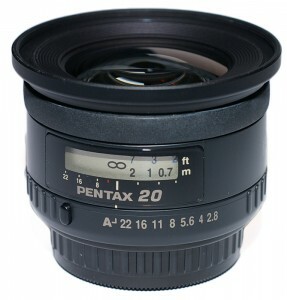 In this short telephoto knockout match, the SMC Pentax-FA* 24mm F2 faces the SMC Pentax-FA 20mm F2.8. This one's easy. I have (and like) both lenses, but I use the FA*24/2 much more. I really like the faster aperture (very good results at f/2.2) and the 24mm FL is a favorite of mine. Given that they are similarly priced nowadays, I'd give it to the FA*24. The f/2 is very tempting. Ohhh, this duel was destined to happen again (before was during the film days): FA 20 is way superior in sharpness (both center and border), FA* 24 has the aperture and that's all. I haven't noticed this in my copies. Photozone sharpness measurements show the FA*24 winning at the center, while the FA20 is sharper at the borders. If you're going by observations from the film days, the APS-C "border" of the FA*24 would have covered much more of the frame, so the FA20 might appear better overall on film. But I'm not sure this is true on current cameras. I haven't either of these lenses, I was looking at both but went for an FA20-35/4 instead. Of the two I'd prefer the 20mm, the difference between 20/24 is much bigger than 24/28 and the FA20 approximates the FoV of my 6x7 45mm quite well. FA20 - my copy is sharp corner to corner. That is what I want when wide angle is deployed. The FA 24 is apparently a great lens, but is not sharp corner to corner like the FA20. If I could pull a "Marty McFly trick" and go back in time to use both lenses (I have both) with film and my PZ1P, then the FA24* is a winner, but when using both on mt K20D, then its THE FA 20 the one that shines. In digital, the *24 is too soft and lacks contrast wide open. Usable only from 2.8 to f11. Closed down gets too much purple fringing. Closed down gets too much purple fringing. PF doesn't bother me much, but why don't you fix it in PP? Is it because you prefer to shoot JPG (I usually do for events)? PF isn't always easy to fix.